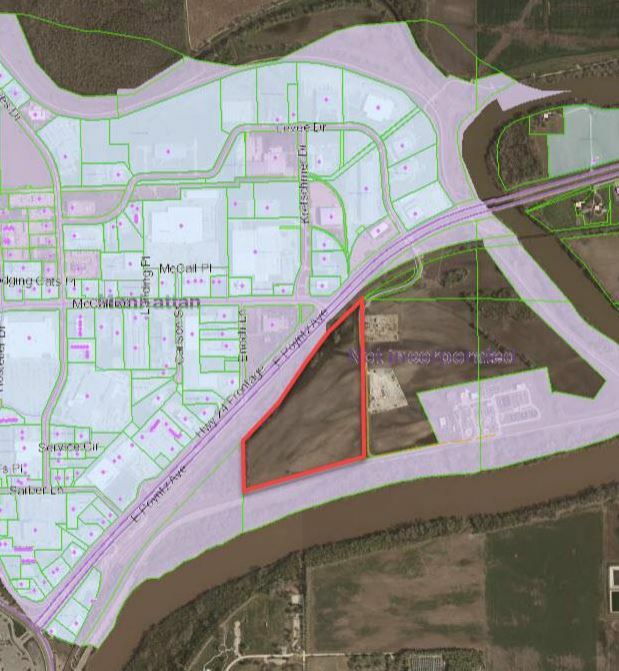 MANHATTAN — City officials will attempt to acquire agricultural land near the Wastewater Treatment Plant for a joint maintenance facility. The City Commission gave consensus to pursue the site off of Highway 24 at its Tuesday work session. Commissioner Wynn Butler says they’re not building for buildings’ sake. They’ve run out of room for both Public Works and Parks and Rec maintenance staff and equipment in the facilities, and they need significant renovations as well. The net cost of the new facility is estimated at just under $12 million, divided in-part between benefiting department funds to reduce property and sales tax impact. Commissioner Jerred McKee echoed Butler’s comments on the need for space, noting he saw those issues firsthand during a tour he took when he was first elected. Public Works Director Rob Ott says they’d also sell off three of the four old locations, retaining the El Paso Parks and Rec building as a satellite site for work in the area. Ott says the acquisition also won’t cut into the tax rolls. The joint maintenance facility would be on a 36-acre plot in Pottawatomie County near the Manhattan Wastewater Treatment plant. Ott says the contractor analyzed multiple potential properties, many of which were ruled out so as not to take land that’s commercially desirable. Mayor Pro Tempore Usha Reddi said she was in favor of the site, but had concerns about the number of projects planned to go online from 2020 through 2023. Ott hopes to have the land acquired by the end of 2019. The property owner is currently listed as Betty J. Fay and Carl J. Carlson II.